Senate minority leader, Godswill Akpabio met vacationing President Muhammadu Buhari in London today, four days before he crosses over to the All Progressives Congress. Issues discussed were not diclosed. 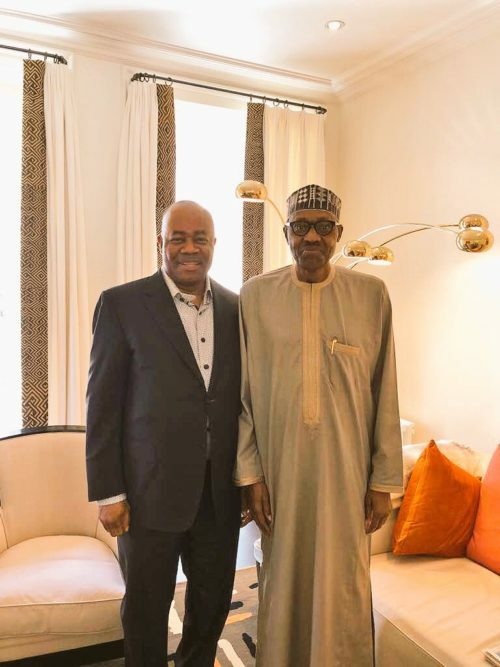 Akpabio had met Vice President Yemi Osinbajo in Abuja on Thursday and also national leader of the APC, Asiwaju Bola Ahmed Tinubu, in Lagos. Akpabio’s decision to leave the PDP has dampened PDP celebration over the defection of a dozen senators, three governors and some 30 members of the House of Representatives, who hitherto were members of the All Progressives Congress. He is scheduled to switch to the APC in Ikot Ekpene on 9 August. Akpabio was governor of oil-rich Akwa Ibom state from 2007-2015. He was elected a Senator in 2015 and was chosen as the minority leader for the Peoples Democratic Party senators. APC Newspaper on its Twitter handle announced Saturday night the news that Akpabio was switching allegiance : “We can confirm that, HE, Sen (Dr) Godswill Akpabio is a card carrying member of @OfficialAPCNg effective August 4, 2018. 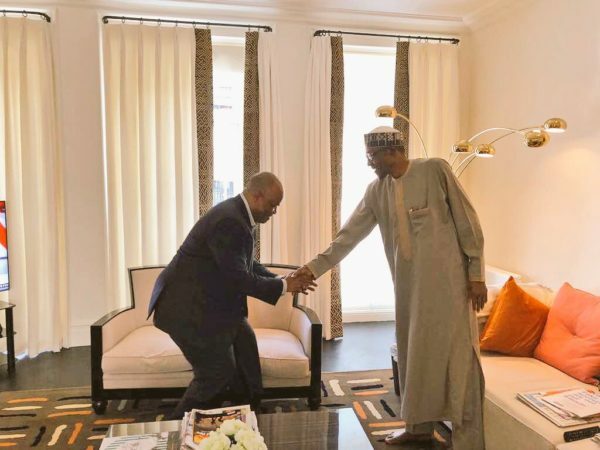 @OfficialPDPNig has lost him. Official Reception in days”. “Acting President, @ProfOsinbajo accompanied by Senator (Dr ) Ita Enang, and leaders of the APC in Akwa Ibom to formally receive Senator (Dr.) Godswill Akpabio into APC at Ikot Ekpene Stadium on Thursday 9 August, 2018. All lovers of Democracy are cordially invited”. Senator Ita Enang, Buhari’s liaison officer with the National Assembly confirmed the unfolding political drama in his recent tweet.